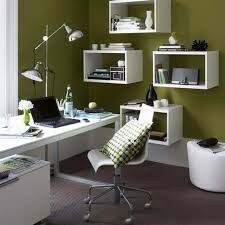 Small Office Space? Try Floating Shelves | Fix It! Small office space. Can we say, “really small space”. It’s part of living and working in Toronto. Sometimes it isn’t about the design and the look but more about being functional. A quick and easy way to get both is to add shelves. We just did this in a small office in downtown Toronto. 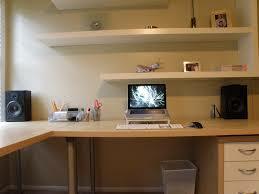 In this case, there are 3 desks in a space of 150 square feet. Instead of bookcases that sit on the floor, we installed floating shelves starting halfway up the wall and then another row above that. This way they kept the floor space uncluttered while still having a place for file folders and binders. Many of our clients have bought floating shelves at IKEA. Tip: to add color to an area you can paint the wall a different color. This may add flare to a kid’s room.